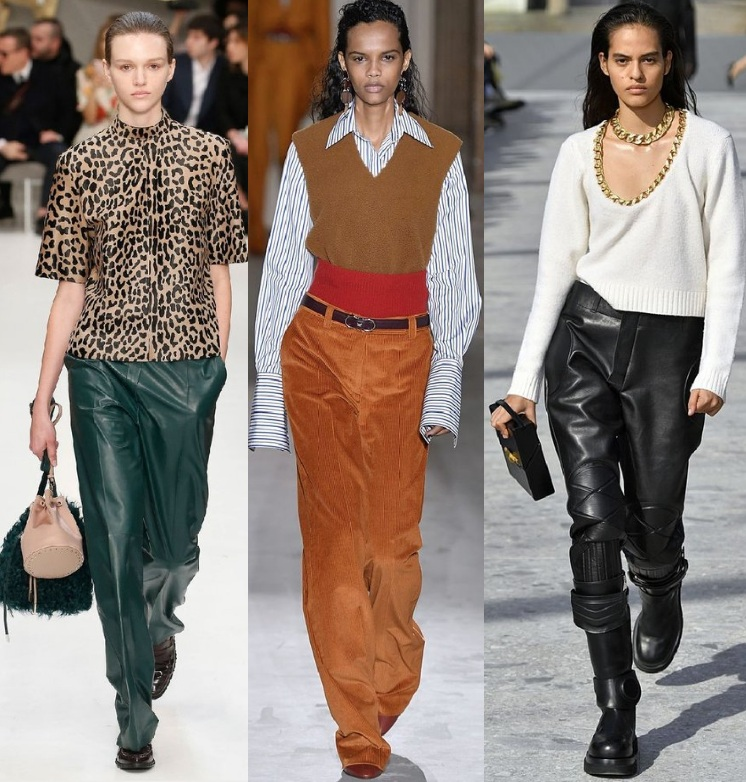 Given that menswear elements are continuing to grace womenswear designs, we thought it would be visually interesting to highlight how they were reflected on the runways of Milan Fashion Week. Blazers and Jackets : This year, Milan’s top designers presented a slew of must have blazers and jackets. We love that these layering pieces are so versatile and that they can be styled in many different ways beyond the office. For those who prefer a stronger more masculine look we recommend sticking with darker colors and oversized silhouettes. And for those who prefer a softer more feminine look try brighter hues in fabrics that drape and move with you. 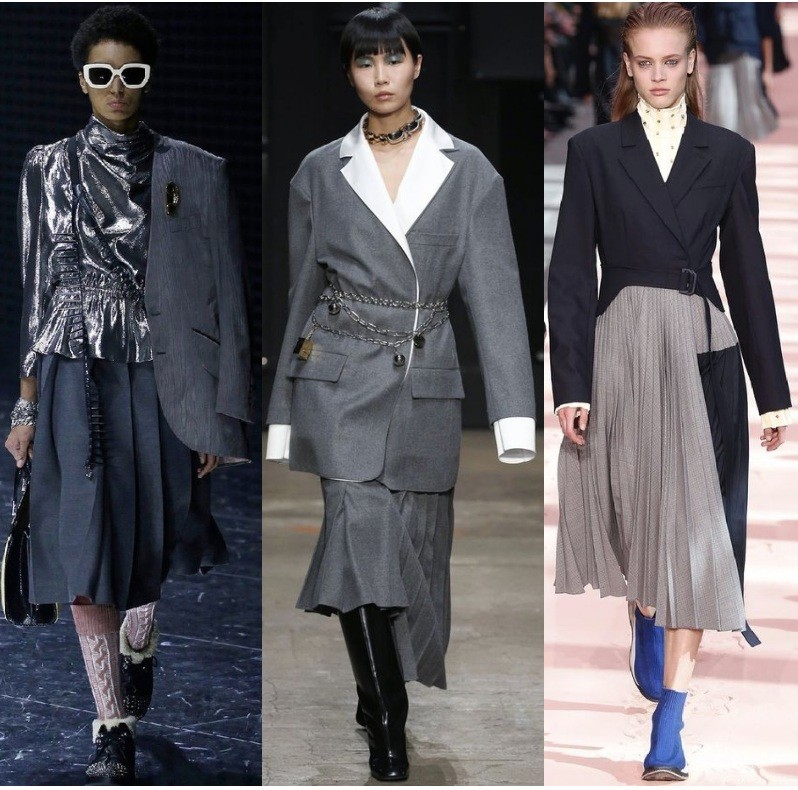 Dresses and Skirts: The same can be said for skirts and dresses in regards to strong and masculine versus soft and feminine… Layering them with blazers and jackets is always a fashionable choice where you can manipulate the mood of your look through colors, shapes and textures. Pants and Jumpsuits: It will be a sad day when jumpsuits are no longer in style so we are pleased that designers are still moving forward with these super comfortable and chic styles. Here, leather pants accentuate the strength of women, while, conversely, the softer materials highlight the beauty and softness of women. Colorful maxi dresses by Carolina Herrera and Zimmerman were the highlight of Day 5 shows. Models caught everyone’s attention as they walked the runway in these elegantly flowing gowns. These dresses are first on my list for clients! Creations by Taoray Wang presented women’s suits of various menswear inspired silhouettes in solid colors. Styled with high waisted belts each look exuded elegant power and modern femininity. Here are some of our favorites.